How do we get stuck, and what can we do to get un-stuck? Getting stuck, at first glance, is not nearly as bad as it sounds, and can have some benefits. Being stuck emotionally, means not making any decisions, staying clear of wrong moves, putting in zero effort, and avoiding negative results. Being stuck also means stagnation, a solid routine, and a life without excitement. Being stuck is a place where resentments grow because important decisions are made for us, and attempts at asserting ourselves are challenged. Of course, there are times of high stress and busy chaotic schedules when people yearn for a dull moment. However, this is different than being stuck. Being stuck usually means living in a stagnant, sometimes unhealthy state. It provides us with certainty, but also leaves us feeling trapped. An adult child living with his parents, working a dead-end job, or using credit cards to pay for everything are situations tied to an economic downturn, but nonetheless are indications of being stuck. Getting un-stuck requires we assess the reasons we are stuck. Maybe it’s fear, fatigue, indecision, or a lack of knowledge and skills. Next, we have to develop a thoughtful plan of action to clear any barriers. Finally, we have to execute the plan. Most of us are stuck for an instant, before spreading our wings. For instance leaving home, no matter the economic conditions, is something most of us must do at some point in our lives. Even if done right, this change involves angst and most big decisions do. But momentary angst is replaced by feelings of accomplishment which creates self-esteem; which is how we achieve it, since Walmart doesn’t sell self-esteem in a jar. 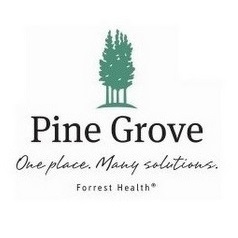 Dr. Tony Calabrese is the Director of Psychology and Outpatient Services at Pine Grove Behavioral Health and Addiction Services. He also serves as the Chief Psychologist for the pre-doctoral Psychology internship training program. Patricia Calabrese is a licensed Mental Health Nurse Practitioner and she currently treats children and adolescents at Pine Grove Outpatient Services. She has a professional interest in ADHD and parenting education.